After somehow never playing the series before, WipEout Omega Collection welcomed me to the rush that is WipEout, and I can see why it’s got such a following. I have to admit, I never played much of the previous WipEout games, aside from the occasional dabbling with the PS1 games at friends’ houses as a kid. I wasn’t all that interested in racing games, and when I was, it was usually those of the karting variety and Psygnosis’ other futuristic high-speed combat racing series, Rollcage. That gives WipEout Omega Collection the honour – if you can call it that – of being the first WipEout game that I’ve ever really sat down and played in earnest. I’m glad I did, though, because Omega Collection is a fantastic introduction to this series (assuming I’m not the only one in the world who hasn’t played it before now), and is a game that I’ll keep coming back to. 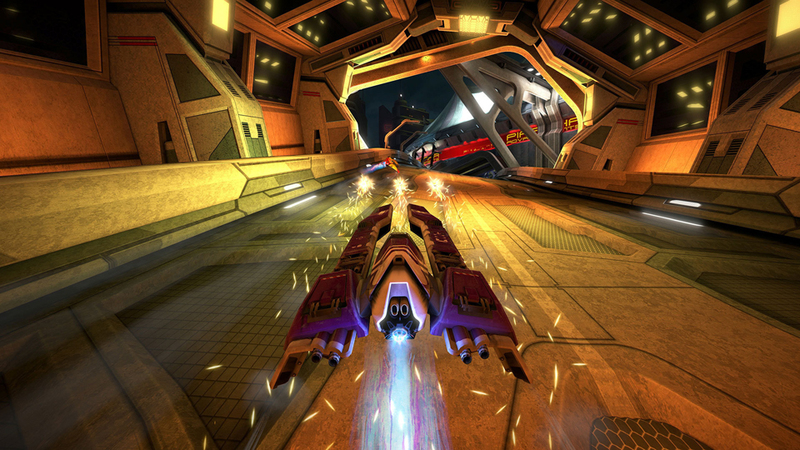 WipEout Omega Collection brings together a handful of the more recent games in the series. 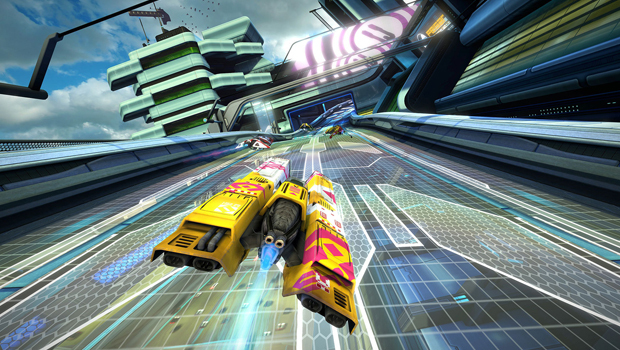 There’s WipEout HD, which came out in 2008 and was itself a remaster of two PSP games, WipEout Pure and WipEout Pulse, as well as the contents of HD’s expansion, WipEout Fury. 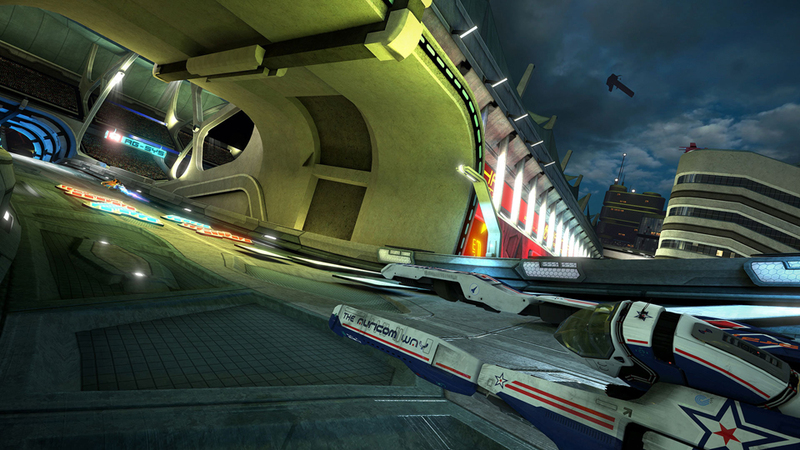 Finally, the PS Vita launch title WipEout 2048. None of those games are particularly old, especially when you consider that the original WipEout is more than 20 years old. At the same time, none of them are particularly new either, and all were made for hardware much less powerful than PS4 – so it’s impressive that Omega Collection doesn’t look like the least bit out of place on Sony’s newest console. If I didn’t know better, I’d never have guessed that this was a remaster. It also helps that this isn’t three games bundled together in one package a la the Kingdom Hearts collections, where you choose a title from a front-end menu and then play that in isolation until you decide to switch. Rather, the contents of all three games are presented as one whole, seamless experience, with all courses, vehicles, and game modes all shared across the game. There are separate story modes for each of 2048, HD, and Fury, but this makes sense, because each “story” is essentially its own competition within the Anti-Gravity Racing League. I can’t say how all this compares to the games in their original incarnations, but WipEout Omega Collection is a fantastic achievement as far as cohesiveness, presentation, and technological achievement in a remaster. Let’s hope that with any more remasters that are inevitably on the way, Sony looks to what it’s done here and replicates it, because this is a winning formula. But no matter how well presented, a remaster is only as good as the games it contains. Luckily for Omega Collection, it’s got as much substance as it has style, with exhilarating races across a wide range of smartly-designed courses, a careful difficulty curve, and the smooth controls to tie it all together. 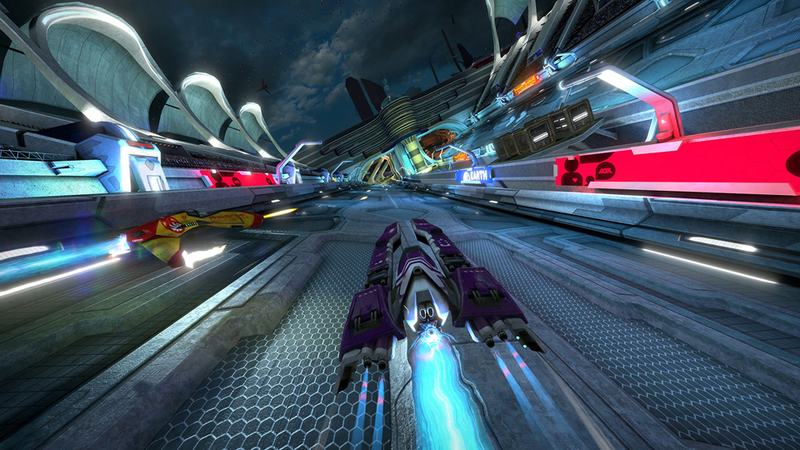 At its core, WipEout Omega Collection is an arcade racer in which you pilot a high-speed hovercraft, using speed pads and weapon pickups to gain an advantage on the competition. There’s nothing particularly innovative here, but there doesn’t need to be – racing is one of those timeless genres, and solid fundamentals are all you need to create a compelling experience. Omega Collection has that, and it doesn’t need any other quirks or gimmicks to add to that. You race, you shoot rockets at other racers, and if you’re skilled and a bit lucky, you win. Among those fundamentals are good controls. WipEout Omega Collection could easily have fallen victim to control issues, as you try to navigate twisting racetracks at ridiculous speed, all while contending with the somewhat alien physics of a hover-jet. Yet even I, one of the worst racing game players on the planet, managed to find my groove in the space of just a couple of races. To aid newcomers, there’s a new driver assist function to help avoid crashes into walls – it doesn’t eliminate crashes completely, but it helps with taking corners and the like as you get familiar with the craft’s air brakes. The stars of the show, though, are the racetracks themselves. They’re less like typical courses and more like roller coasters, weaving through neon cityscapes and throwing everything from loops to massive jumps into your path. There are shortcuts aplenty, tight corners to navigate, and near-vertical drops to hurtle down – just in case the raw speed of the hovercraft isn’t enough. All these different components come together in weird and wonderful ways, where even the easiest tracks feel creative and interesting to drive around and where the hard ones are absolutely devilish. I also have to make a special mention of the soundtrack, which has been newly created for the collection (in part due to licensing issues with the music used in the original games). It’s a pumping EDM mix with the likes of Swedish House Mafia, The Prodigy, The Chemical Brothers and DJ Kentaro – about as far from my preferred taste in music as you can get – yet it fits the tone and feeling of the game so well that I can’t help but get swept up in it all. The music is a rush, adding to an already heady game and turning it into a sensory overload to rival Thumper. I guess what I’m saying is that you can consider me a WipEout convert, and it’s all thanks to the excellent WipEout Omega Collection. I’d somehow never played the series despite owning every Sony console since the original PlayStation, and I can finally see why it has such a devoted fanbase. I’ll be joining the clamour for an entirely new game, but for now Omega Collection will be a game I come back to time and again. WipEout Omega Collection is developed by Sony XDev, Clever Beans and EPOS Game Studios, and published by Sony Interactive Entertainment. It’s available now for PS4. A press copy was supplied by the publisher for this review. Could Uncharted: The Lost Legacy deliver what Uncharted 4 couldn’t?